Prestonsburg, Pikeville, Inez, & Belfry: Winter Weather is Here! Old man winter is letting his presence be known. He is bringing ice, rain, and snow. With all of these winter weather elements, damage can be almost inevitable. Let the professionals at your local SERVPRO make it easier for you! With services ranging from water damage cleanup, to fire damage, and sewage cleanup --we are here to help! If winter weather has caused a mess in your home or business, call SERVPRO today at (606) 886-3826. We are here to help 24/7 -365! Want to know more on our winter weather tips, products, and more? Check out our blogs today! We live and work in this community too; we might even be neighbors. 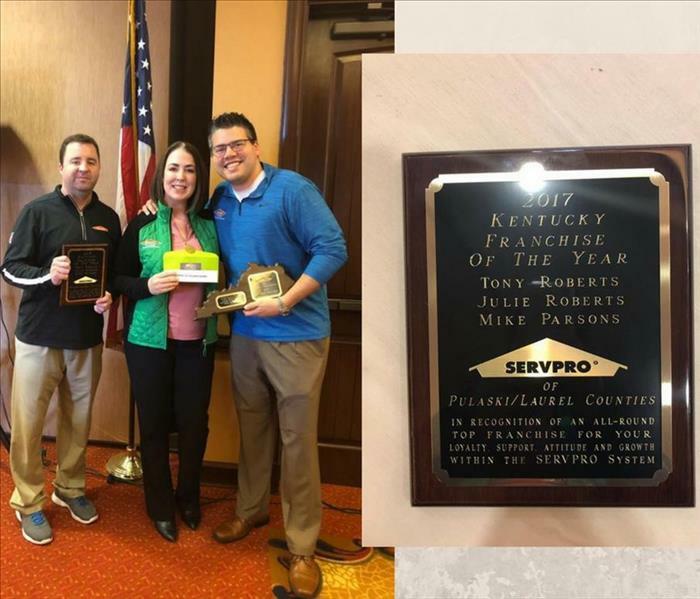 As a locally owned and operated business, SERVPRO of Pike, Floyd & Knott Counties is close by and ready to respond to your cleaning or restoration needs. We are proud to be an active member of the Pikeville, KY community and want to do our part to make our community the best it can be.